Every now and then, Microsoft does something that totally impresses me. 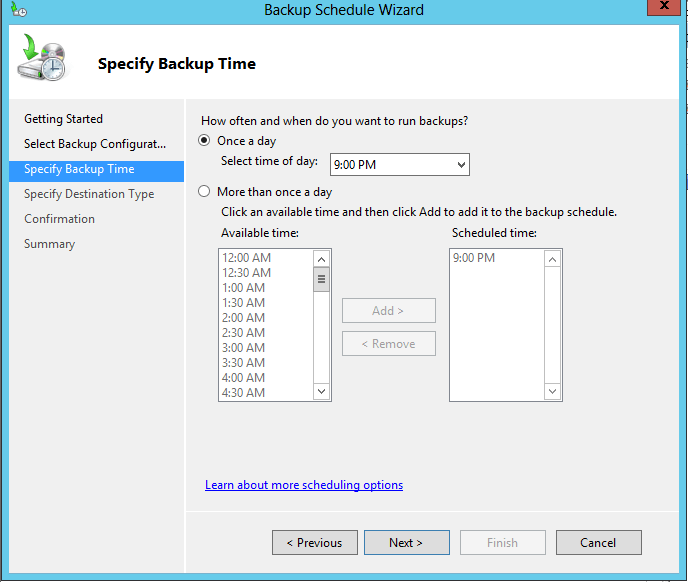 It doesn’t happen often, but in this case I must say I am thoroughly impressed with Windows Server Backup. 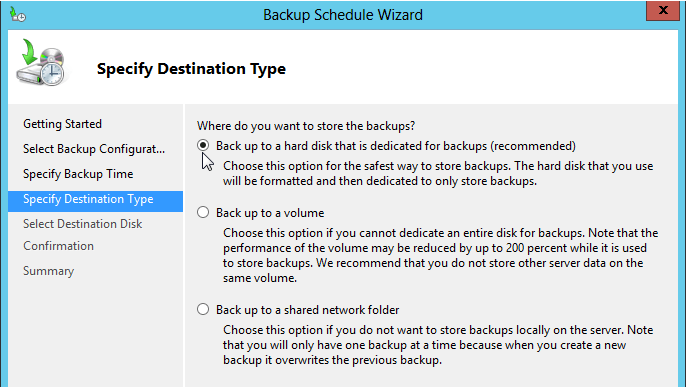 One of the long time issues with Windows Backup has been the ability to send your backups to a location not on the local machine. In fact the limitation is still there. Many of us have gotten around this by setting up a NAS or SAN device and then connecting to the server via iSCSI. But what if I simply want to use a network share? Here’s how I did it. 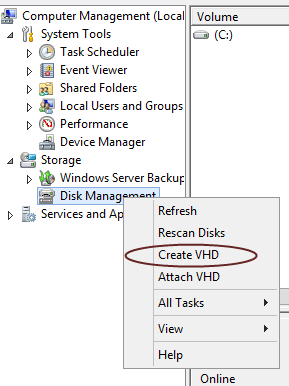 Simply create a VHD in Disk Manager! Ok maybe not that simple, there are some issues with this method, like VHD’s that do not reconnect after the system is rebooted (Really Microsoft? ), so you need to create a scheduled task to reconnect the VHD, otherwise it’s pretty straight forward. Right Click on Create VHD, then fill in the blanks. I recommend using a VHDx because you can create drives larger that 2TB on up to 64TB, the only caveat is that only Windows Server 2012 and Windows 8 can read VHDx. I also recommend using Dynamically Expanding so that the file space is not used unless it is needed. The location can be a mapped drive as shown below or a UNC path like \\SERVER\FOLDER\FILE.VHDX. Now you will see an new disk in Disk Management. Leave it alone! We do not want to initialize this disk because Windows Server Backup is going to do it for us. we are also not going to assign a drive letter because it’s not necessary and there’s nothing you will be able to with it outside of Windows Server Backup anyway. On the next screen we will choose Full server , feel free to go custom if you want. This next two screens are critical. Pay attention! Now we select Backup to a hard disk that is dedicated for backups. Next we need to find our VHDx file, which will appear as a disk to the wizard. Click on the Show All Available Disks… button. Now select the VHD we created earlier. Confirm your choices and finish up. 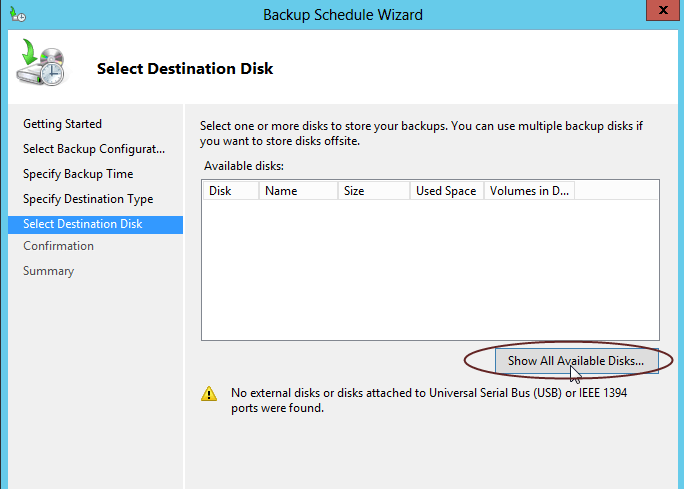 The VHD will be formatted and your backups will be scheduled. 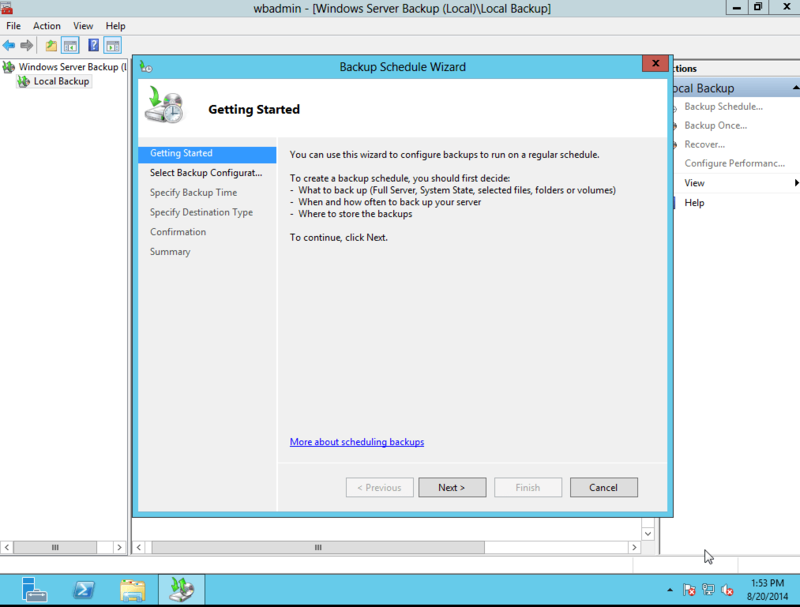 This entry was posted in Windows Server Backup 2012 and tagged Disk Management, VHD, VHDx, Windows 2012 Server, Windows Server Backup by Frank McCourry. Bookmark the permalink. Next → Next post: Automatic Updates for Ubuntu – with all updates.